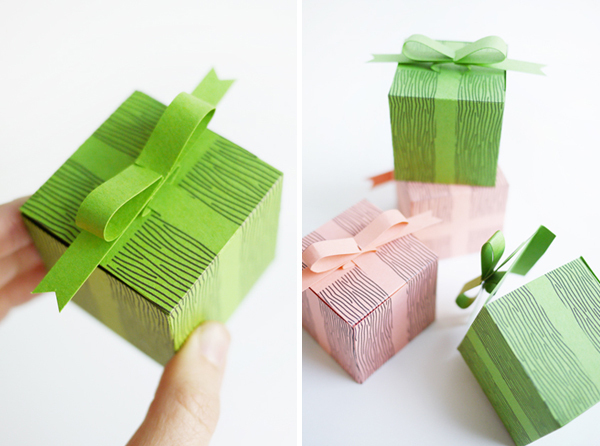 Cute packaging is one of my favorite parts of the holiday season! 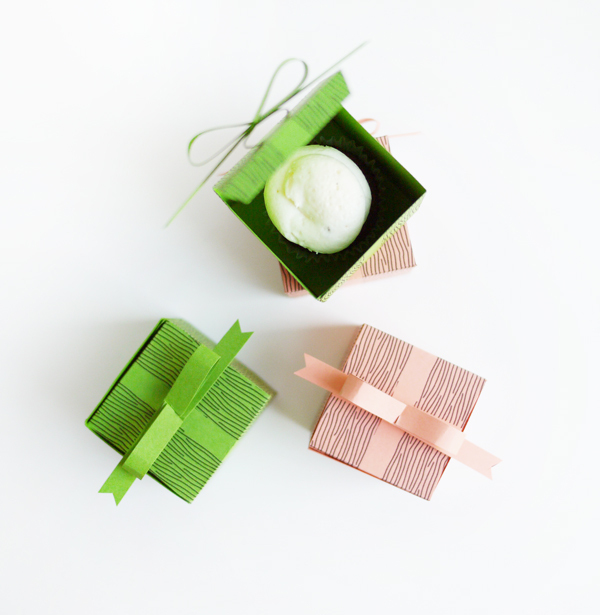 Whether you have a small gift or mini-cupcakes to give away, these little woodland boxes with “faux” bows are the perfect way to wrap any tiny surprise. 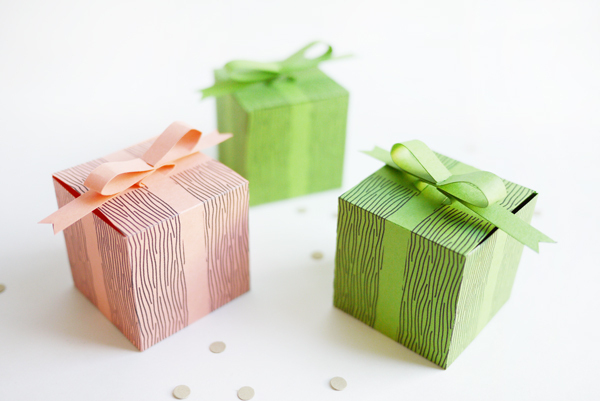 Find some fun colorful card-stock and assemble these printable boxes in any color palette you desire. Good things definitely come in small packages! 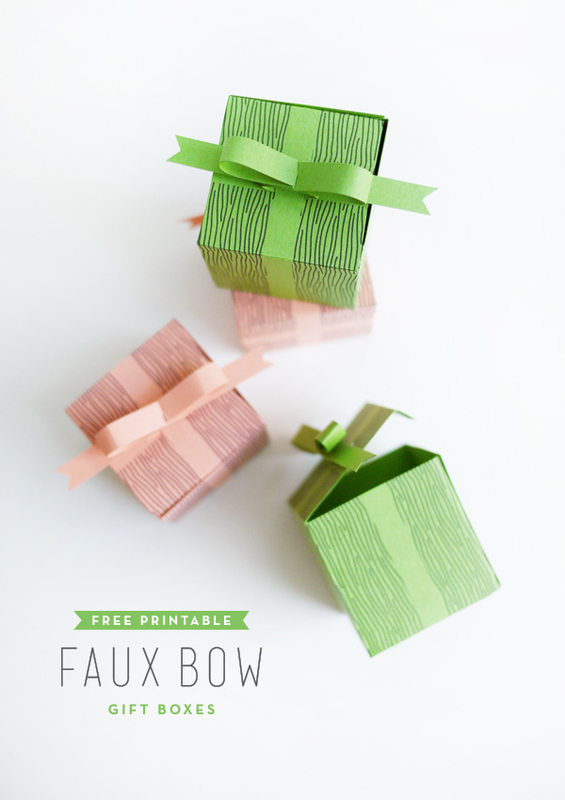 Step 1: Print out the Printable Faux Bow Box template on 8.5 x 11 colorful card stock and cut out the box & bow. Step 2: Using a ruler (or straight edge) and bone folder, score all of the areas that will be folded on the box. There are very light lines that indicate the folds. Step 3: With a craft knife, make 2 incisions on the top of the box (there is only one flap on the top side) where the bow will be inserted (see photo for detail). Step 4: Use the bone folder to make all folds on the box. Assemble by placing a small amount of glue on all of the tabs (except the top one) and press together. Allow glue to dry. Step 6: Gently fold over the bow and lock together the center incisions so that the paper is overlapping. This will form a bottom loop. Step 7: NTake the left side of the bow and gently fold it over (make sure not to crease the paper) and fit in to the incision. Repeat on the right side. Step 8: Now that the bow is make, gently press the center of the bow with you thumb so that the it lays flat on the box top. Fill with a small gift! This will be so helpful for Christmas! Thank you! Ha! It rhymes. Faux bow. 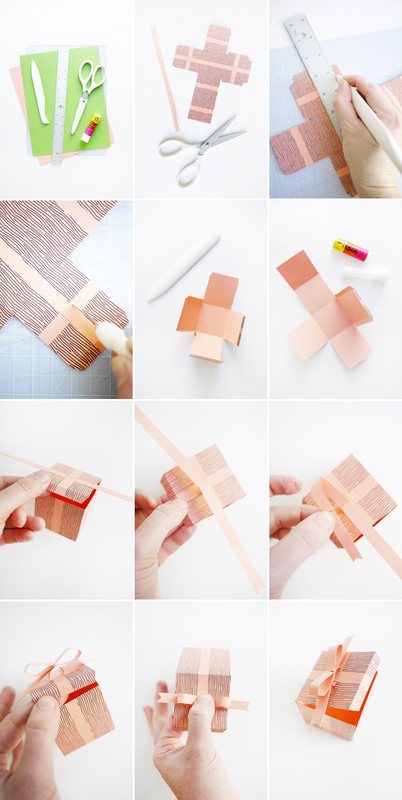 Very cute printable. Love the play on faux bois. Super cute! Just what I need for a December birthday present of earrings. These will be perfect for dainty accessories! Ah! How stinking precious! Definitely going to do these for my gal pals Christmas gifts! Sorry for all the comments but I am checking up on old blog posts 😉 seriously, everything you post is fantastic.